A special week is launching today to create a wave of love, caring and happiness across the nation by getting everyone to send a card a day between the 22nd-28th September. 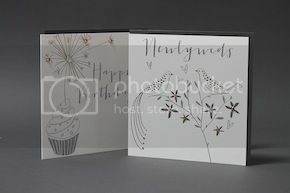 It’s been scientifically proven that receiving a handwritten card makes people feel much more special and is great for health and wellbeing according to cognitive neuroscientist Dr Lynda Shaw. We’re embracing the emotional power of sending and receiving cards for National Thinking of You week by getting the belly button team to send a card a day. To kick start our week is our big boss lady creative director Rachel, sending a card to her sister Charlotte. We think Charlotte is going to be in for a foody treat when she receives her card for an invitation to lunch. You can find out throughout the week on Facebook and Twitter which of the team has sent a card along with their special handwritten message to a loved one. Thinking of You... the last day! Thinking of You Warren Lomax!